I did this a couple of years ago and I would like to do it again this year. All the suggestions from that post are well worth a visit and your consideration so please feel free to visit Gift giving 2016 edition. One of my favorite things to give is an experience. And this is something I wish we would have in Toronto as well. 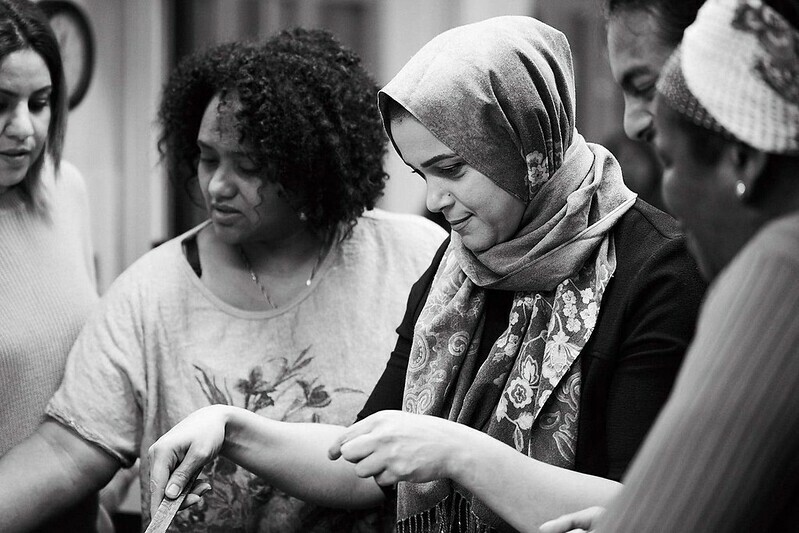 Leaving the complicated politics of refugees, one thing we can all agree on is that everyone wants to feel like they can participate in a society in a meaningful way, and everyone wants to feel valued. This brilliant organization seems to help people on the road to achieve that by offering cooking classes taught by chefs who are refugees from different countries. They have gift vouchers available and you can enjoy it yourself or gift someone the experience of cooking from 13 different cousines: Afghan, Iranian, Lebanese, Egyptian, Tunisian, Albanian, Eritrean, Ethiopian, Nigerian, Pakistani, Bengali, Cuban and Ecuadorian. We have in Toronto something a bit similar Depanneur which I would like to try at some point. Gail bought Cillian, the Son, Wyatt from them and he loves it. They way a 7 month old loves things, by licking and chewing on them but he loves them. Although Gail could have made it herself because she is the biggest Maker of all, bags, beading, quilts, sewing you name it she does it. But Gail also loves a present with a story so every doll is made ethically and provides income to families in Peru. A great gift for kids to start learning about their country, local nature, our responsability protecting it. We have supported this organisation for the past three years and they do amazing work in buying land to protect it. 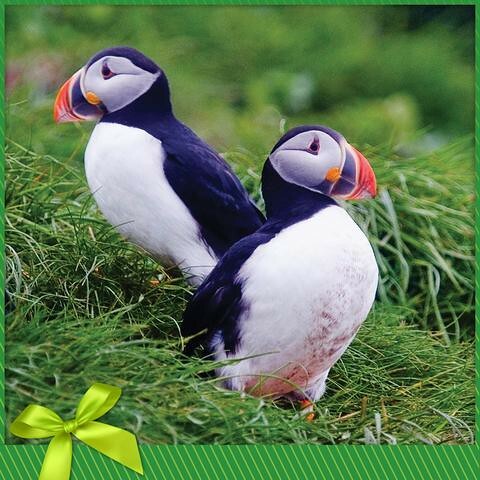 They have a variety of symbollic adoptions of different species including the spectacular puffin. You want to go for the sentimental, thoughtful gift then personalized gifts are the way to go. You have your pick from photo gifts to illustrators who do custom family portraits, and yes that includes pets. 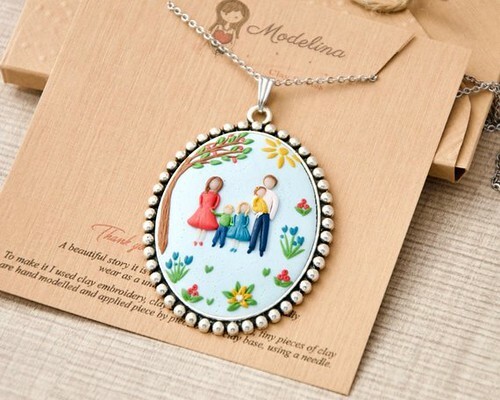 This Romanian shop makes custom portraits in clay and turns them into pendants you can wear. Have a look at her shop it is absolutely precious. Positive News – This one is mentioned in the previous gift giving collection and well worth a second mention. As the name says it is Positive News, highlighting people who do amazing things. Womankind – I bought ane issue when I was in Australia a couple of years ago and read it cover to cover. It was an excellent read. DoR – A Romanian gem, which I have been reading for the past two years. They send magazines internationally so a great gift for someone who wants to keep in touch with excellent storytelling from back home. Illustoria – We got this for my Aussie twins as their Christmas present last year and Aggie especially enjoyed it. It is full of activities for creative kids. Bravery – Great for kids, full of stories of strong women. Never too early for inspiring role models. Anorak – For kids again – Have not tried it yet but looks pretty fun. Kookie – This will be this year’s present for Aggie. Reusable produce bags. The conversation about how much I hate plastic around all our veggies is not for this post so we have been using these now and we are gifting some too. Reusable Kitchen Towels to replace paper towels. Reusable food wraps. If we can’t cover your food with a plate or a lid then we use these. Credit: All the photos are of the original websites where the items can be found. This entry was posted in Mon Atelier and tagged Anorak, Bravery, Cuddle + Kind, DoR, Illustoria, Kookie, migrateful, ModelinaClayStories, Nature Conservancy Canada, Positive news, presents. Bookmark the permalink.